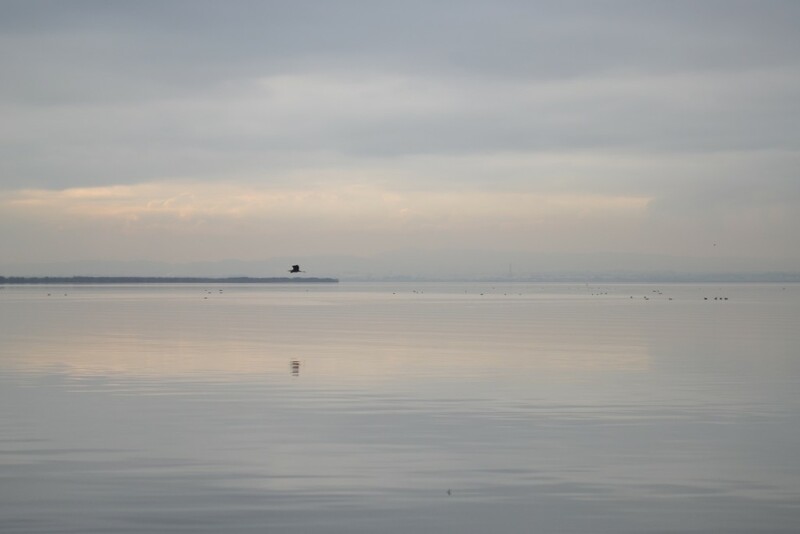 Rarely has a grey and gloomy day appeared quite so enchanting to me as it did on the day of my December boat trip out on the Albufera lagoon. 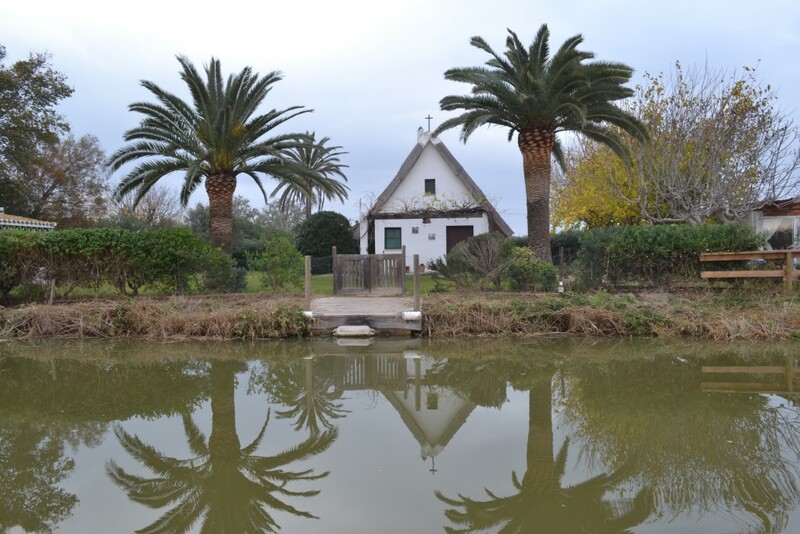 Fat dark clouds, pregnant with rain, hung ominously in the air, as we – foolishly it seemed – made our way from a tiny quay in El Palmar out onto Spain’s largest lake. 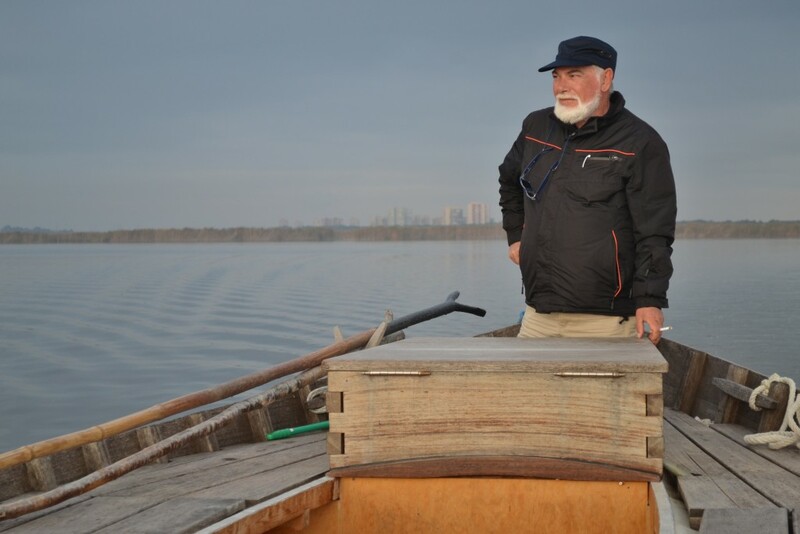 It was like floating into an alien dimension: the only other human in sight was a fisherman going back to shore, and – once he had passed by on his tiny vessel – there was nothing to disturb the mirror-like surface of the lake, which reflected the greyness of the sky so that we seemed to drift in a ghost world. Other we left the reed banks behind us, our only companions were the immense flocks of wildfowl that settled out on the lagoon as far from us as possible, the only colour a thin band of orange light that the sun would cast through the wall of clouds from time to time. Beautiful would be the wrong word, but it was certainly a fascinating and eerie landscape, as hopefully these photos attest. 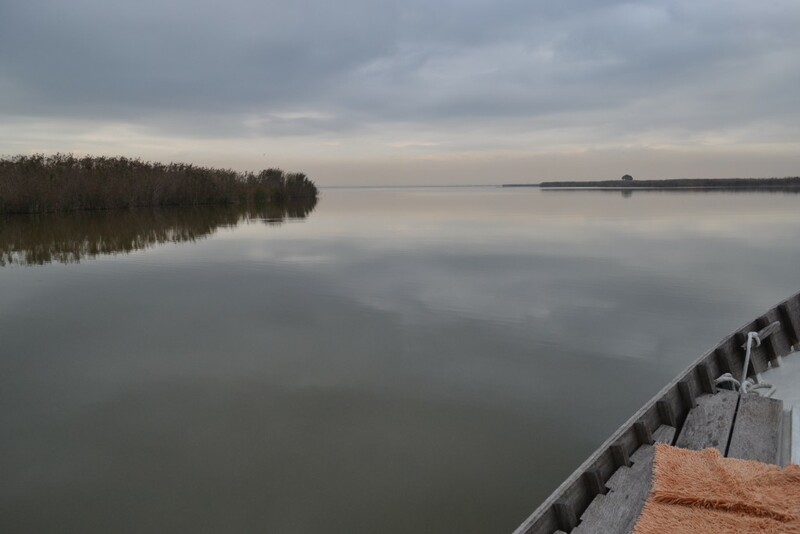 It was like floating into an alien dimension… there was nothing to disturb the mirror-like surface of the lake, which reflected the greyness of the sky so that we seemed to drift in a ghost world. 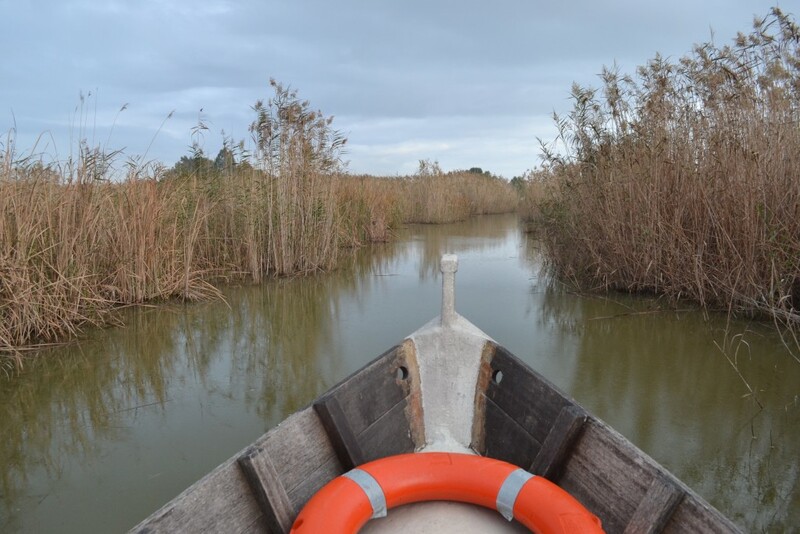 Albufera is a popular day trip from Valencia, as you can reach it easily by bus, taxi or private tour from the city centre: the journey time is just 20 to 30 minutes. 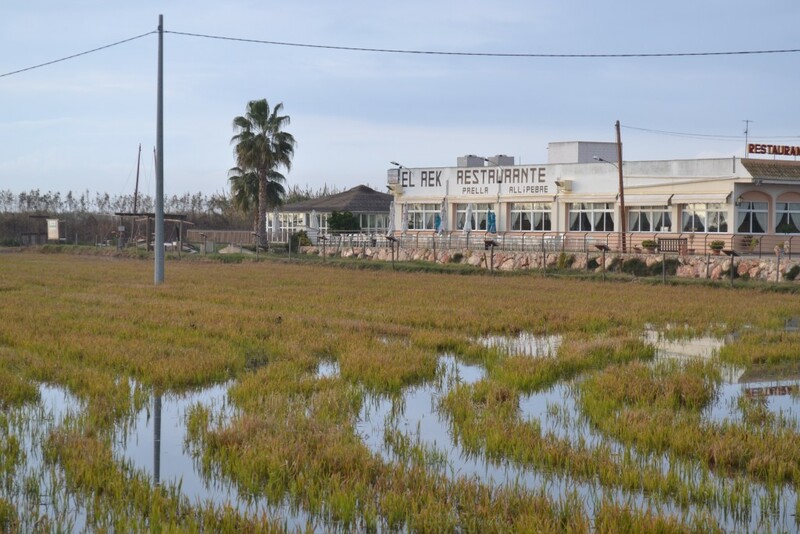 Most transport will take you to El Palmar, a village on the edge of the lagoon, where tradition dictates that you enjoy a huge paella, or perhaps all i pebre, two local dishes of the region, during your stay. 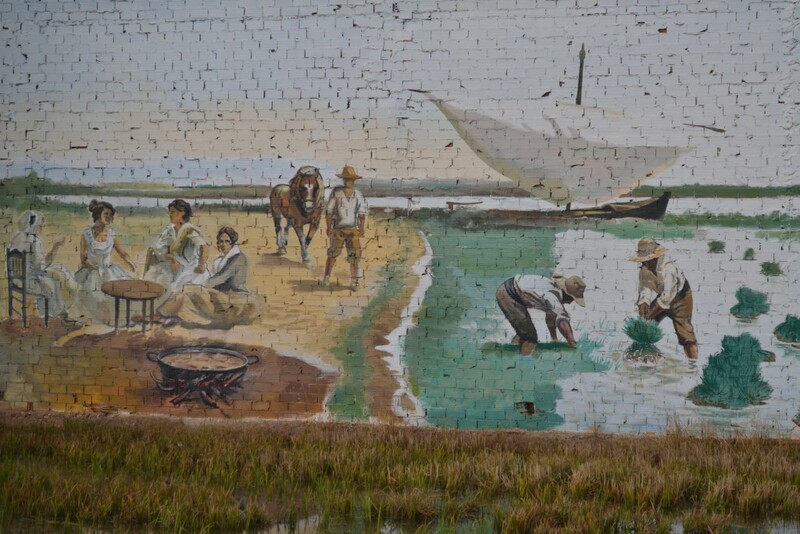 On the way to El Palmar you’ll see some of the many rice fields that produce the region’s famous crop, which was introduced by the Moors in the 12th century, explaining of course why the iconic Spanish paella dish comes from here (the rest of the Spain is more crazy for bread!). 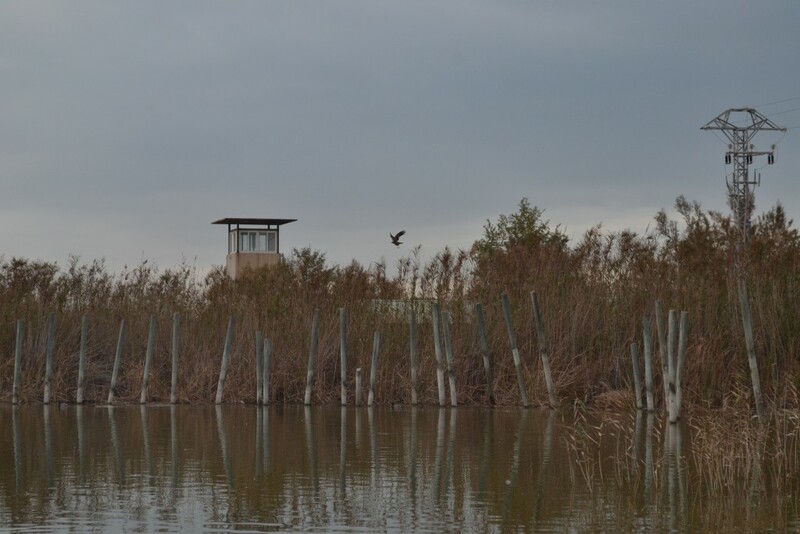 Once in Albufera, popular pastimes include hiking and birdwatching, and on top of a zillion species of duck and marsh birds you might be lucky enough to spot an eagle, as I did. 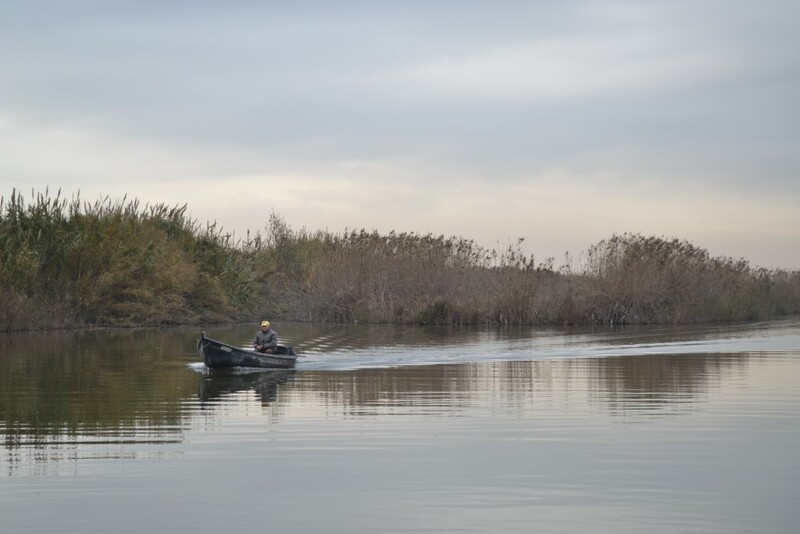 Naturally a boat trip is a must and is cheap and easy to organise. 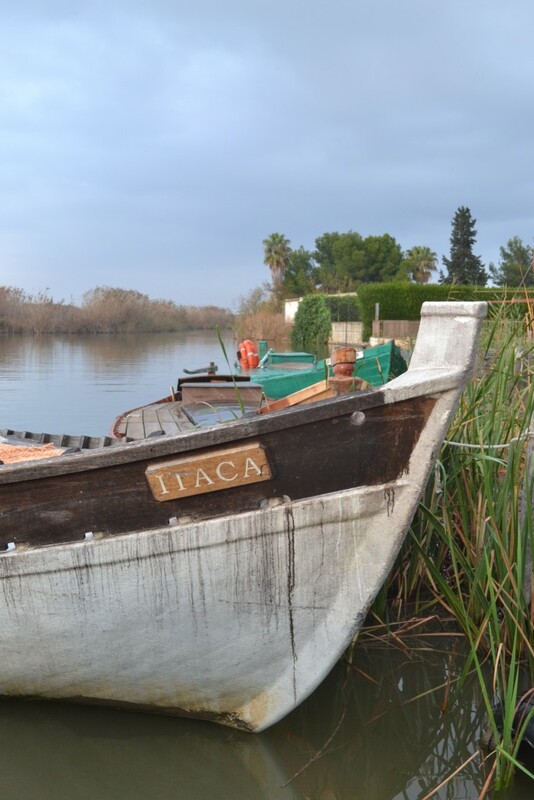 You can find captains hanging around with their boats offering rides (for as little as €6), or you can organise a more official tour, including transport, boat trip and paella via the tourist board’s website. Finally if you are coming during summer, on the coast between the lagoon and the Mediterranean you’ll find the sand dunes and unspoilt beaches of El Saler. 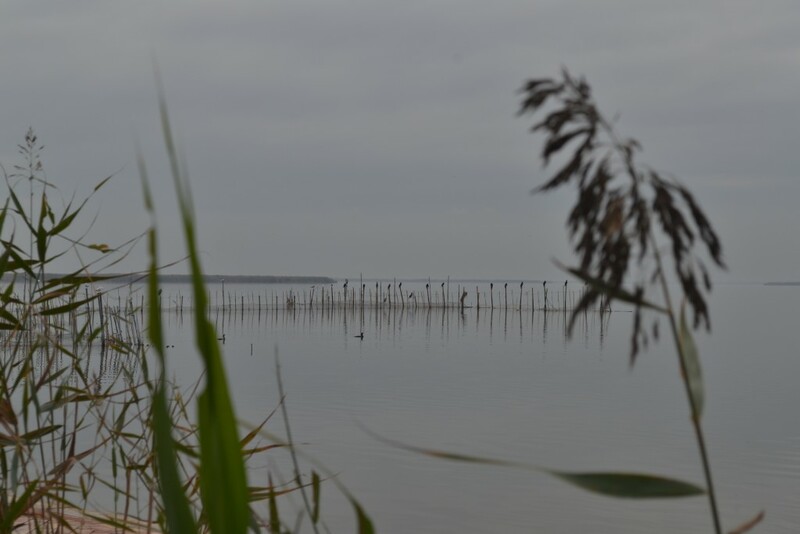 Duncan visited Albufera with the support the Valencian Tourist Board and The Travel Mob during the #VivaValencia blogtrip. He also spent a (sunnier) day exploring the epic Turia park by bicycle and cafe hopping and vintage shopping in the hipster Ruzafa neighbourhood. For more planning tips check out fellow blogger The Travel Hack’s ideal Valencia itinerary. 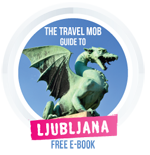 I’m loving the lazy vibe it presents to me, although the photos don’t give me a full picture of the place, it piques my curiosity to visit it! 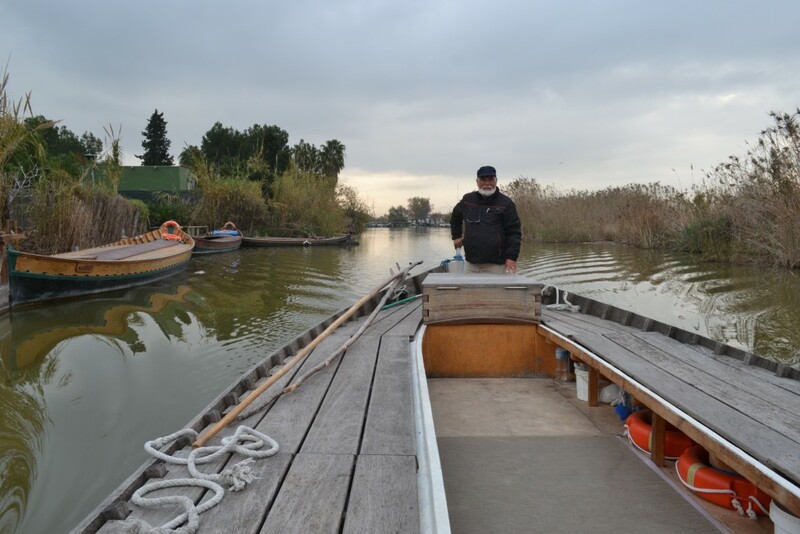 Awesome photos…Albufera is best for one day trip option.